This position is now closed. Thank you for your interest! Love Sitka? Love radio? Want to design the annual mug? Raven Radio seeks enthusiastic, self-motivated team member to coordinate our fundraising efforts. The KCAW Development Director is responsible for working with the General Manager to create and implement a plan and strategies to provide financial support for the activities of the station. 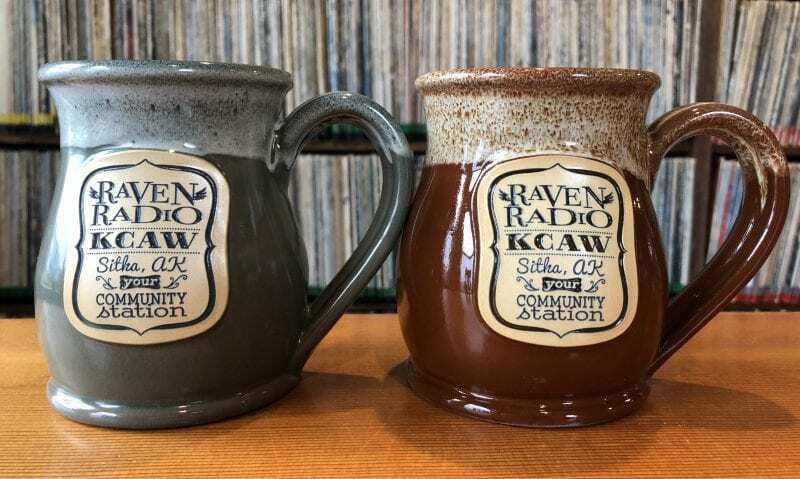 Raven Radio is a community radio station that provides Sitka and nearby areas with local and national news, media access and community engagement. KCAW has approximately 1,200 members, 100 volunteers, and our radio broadcasts reach more than 11,700 listeners in Southeast Alaska. KCAW is a member of CoastAlaska, a nonprofit management service organization for public radio stations in Alaska. Send a resume, cover letter and references to generalmanager@kcaw.org. Applications accepted until position is filled. Initial screening begins October 22, 2018. Develops and implements plan to seek corporate and business support from local, regional, statewide, and national sources. Solicits and secures on-air and online underwriting from businesses, corporations, and non-profit organizations. Prepares and maintains underwriting contracts. Records, produces, schedules, and airs announcements and underwriting spots. Organizes, oversees, and coordinates on-air and online membership and pledge drives and special fundraising events. Works with General Manager to develop and implement membership stewardship initiatives, including building relationships with major donors. The individual in this position must have the physical ability to hear, speak clearly and audibly, and operate standard office and radio broadcast equipment, with or without accommodation. Position requires work at a computer more than 50 percent of the time. Experience in nonprofit fundraising strongly preferred. Full time, exempt position. Salary commensurate with experience, starting at $42,280. Competitive benefits including health insurance, paid leave, retirement plan. Equal Opportunity/Affirmative Action employer.